In the last hours i desperately tried to combine several lines with a certain attribute in qgis. I have a dataset with many small parts of different rivers. In order to display a unique name on each river i have to combine them. Usually this is a very common task and qgis performs excellent on similar approaches with polygons. But i haven’t found a smart solution in QGIS for combining many small lines yet. Merging all single lines via the digitizing tools is out of the question and not really comfortable. But luckily i found a good solution in the OpenJump tool box. 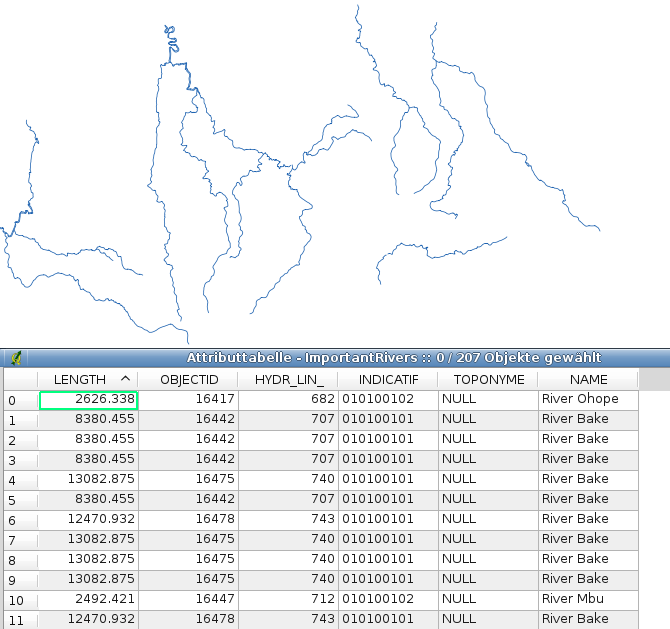 Under analysis and combine layers with a given attribute i could easily merge all my river parts in just one click.